When it comes to the main sporting events, fans want to see big achievements. These are the sporting events that people will talk about for years to come and remember for a great period of time, and this is the events that people want to see exciting things happen. This means that when a player writes themselves into the record books at a major event, it is a big occasion and definitely something worth celebrating. The most important thing at any major sporting event is to win the tournament itself. That is why the players, fans and coaches are here, but only team can win the main prize, which is why it is right to look at other areas where people have had success as well. Truth be told, not too many people associated with CSKA Moscow will look back on Friday the 15th of May with any source of pride or pleasure. The Russian club have enjoyed a tremendous Euroleague season but much like they did last season, they have fallen short of the big grand final. Last year, they were shocked by Maccabi Electra Tel Aviv with the Israeli side eventually blowing Real Madrid out of the water in the Euroleague Championship game. This time around, Olympiacos Piraeus were the team to shock CSKA Moscow in the semi-final and the Greek side will have the opportunity to defeat Real Madrid on Sunday the 17th of May in the Euroleague Championship game. Hopefully over time the CSKA Moscow coaches, players and fans will be able to look back on the 2014/15 season with some pride and happiness. The team managed a perfect score in the regular season and they played with strength and skill in the Top 16 and the playoff round. They fell short in the Final Four game, but it was a night that Aaron Jackson can be proud of. 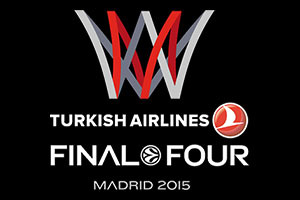 The guard set a Euroleague Final Four record with 7 steals in a single game. The record breaking steal came when Jackson swooped in, taking a pass from Brent Petway. This steal saw Jackson overtake the previous record which was held by Chuck Eidson, who managed this accolade in Barcelona back in 2011 in a game against Real Madrid. Jackson had an average of 0.7 steals in 26 Euroleague games this season, so it was a big jump up for the player. It was a personal best for the 29 year old, whose best before this game was 5, which he achieved back in 2013 against Budivelnik Kiev. This is the third season that Jackson has played for CSKA Moscow, so he has witnessed some disappointment along the way, but this is a big achievement that will hopefully offer the player some comfort after a bad night for the team. You can bet that Jackson would prefer to have enjoyed team glory than individual success on Friday night, but at least he knows he achieved a place in the Euroleague record books in Madrid this year.